A bloody violent conflict protracted for many years, whose solution is hampered and delayed because of the interests of superpowers in perennial competition among themselves. Civilian populations suffering the consequences of decades of wars, economic downfall and serious political and social tensions. Overwhelming flows of migrants who board fragile boats to seek refuge and shelter in neighboring countries. The refusal by some of such countries to accept refugees. The blockage of their fragile boats in high waters, exposing them to an uncertain fate. It may sound like today, but it happened forty years ago. The international waters were not those of the Mediterranean Sea of our time; they were in the South China Sea at the end of the Seventies. The refugees were not escaping Syria or Africa but Vietnam. Those who, after the initial acceptance of the first groups of displaced persons, denied access to their ports because they thought that granting refuge to them would have incentivized what they deemed was an exodus of biblical proportions, were not the rich European nations of our days, but several South Asian countries. Since then, many things have changed. The Boat people crisis happened at the height of the Cold War period; the phenomenon was due to the consequences of a long war in which communist North Vietnam prevailed. And yet, there is one element of sharp contrast with the current attitudes towards similar refugee crises: the position of Italy. 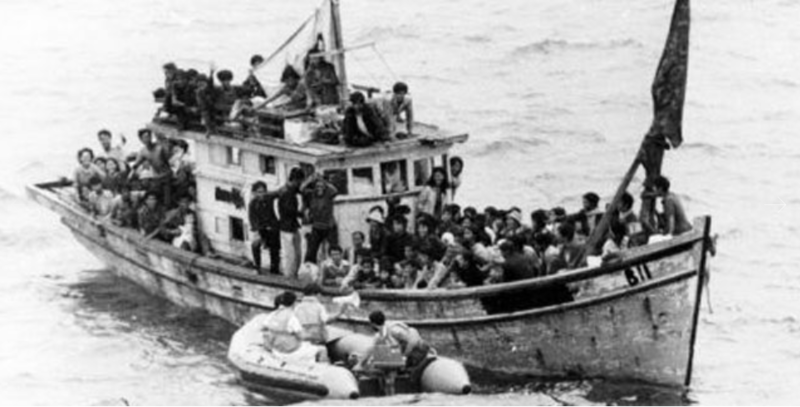 In Cold War times the Italian government, and not humanitarian Non-Governmental Organizations (NGOs), decided to equip and send vessels to rescue the Vietnamese Boat people and save them from certain death at sea, either of starvation or from the attacks by Thai or Malaysian pirates. This year is the 40th anniversary of the so-called ‘Mission Vietnam’, a humanitarian initiative carried out in 1979 by the Marina Militare Italiana (the Italian Navy), whose official website still now provides background material uploaded on the occasion of the 2009 30th celebration (see >>). A fleet composed of three units, destroyers Andrea Doria and Vittorio Veneto and tanker Stromboli, left on 5 July 1979 for a non-stop trip to Singapore aimed at rescuing at sea Vietnamese migrants by means of what was celebrated as the first initiative ever implemented by the Protezione Civile (Italian Civil Protection) overseas. 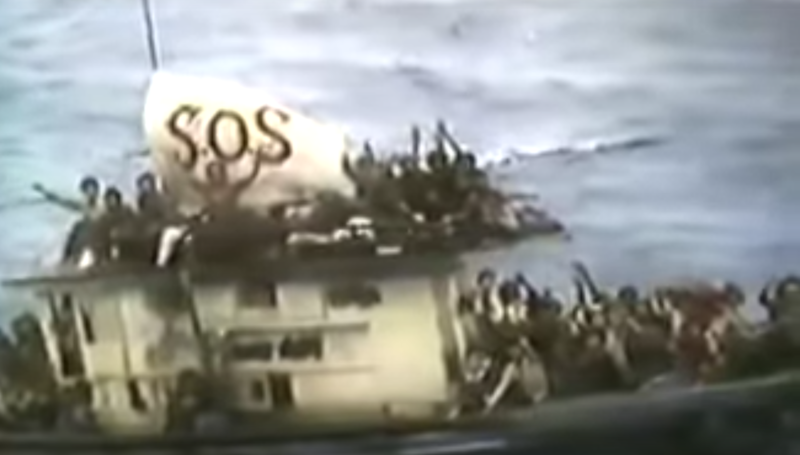 As indicated in the Italian Navy’s official website, “in 45 days of mission the ships and the embarked helicopters explored 75.000 square miles and took on board 902 displaced persons.” The Boat people saved – including men, women, elders and children – were harbored in the Italian territory thanks to the support of volunteer groups and civil society organizations, like the Red Cross and the Italian Caritas. Excerpts from a video produced by the Italian Navy on the ‘Mission Vietnam’ can be found on YouTube (see >>). A viewer might experience a strange sense of disconnect between the official reporting on ‘Mission Vietnam’ and the institutional communication on Italian public policies on migration implemented by the current government. This dissonance is amplified by the register of justified national pride used by the authors of the video. It looks like a document concerning the history of an otherness that does not belong to our present time. With the prevailing sovereigntist-xenophobic discourse, where the language of humanitarian aid and integration is allegedly considered as mere ‘do-gooder’ rhetoric, contemporary Italy can’t be the same country that only 40 years ago designed, approved and implemented such an initiative. 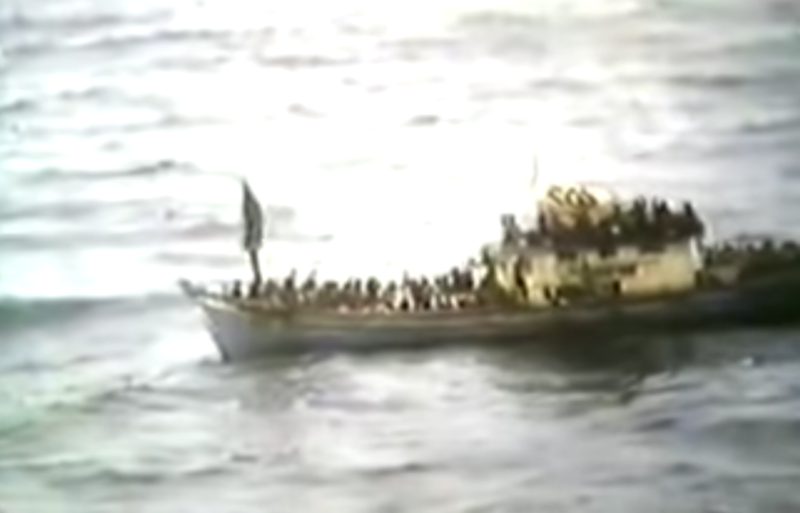 It is worthwhile reporting a translation of the message that a Vietnamese interpreter read aloud to the displaced persons amassed in the drifting boats localized by the Italian fleet: “The ships near you belong to the Italian Navy and have come here to help you. If you wish so, you can embark them as political refugees and be carried to Italy. However, beware that the ships can take you to Italy, but they shall neither carry you to other nations, nor tow your boats. If you do not want to board, you can immediately receive water, food, health care and physicians. Tell us what you want to do and what you need.” Marine reconnaissance missions were coordinated by the Navy with some oil platforms in the area, and even with Seasweep, a vessel of the NGO World Vision that was already operating in the area. 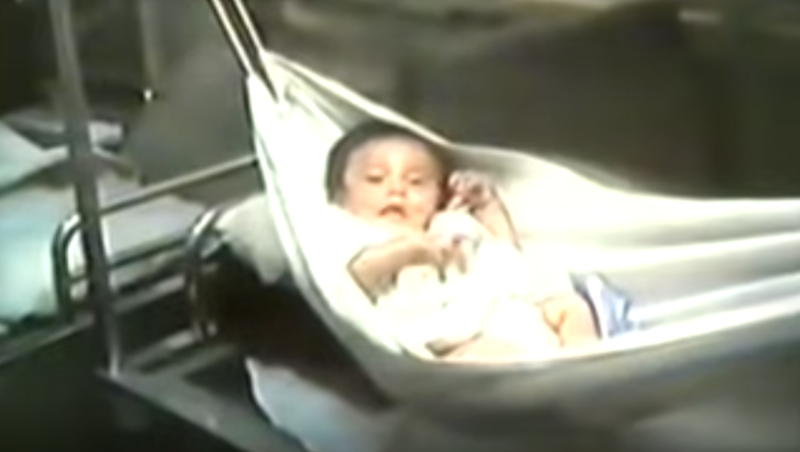 A 1979 reportage produced at the time by Rai, the Italian public broadcasting company, was screened last February on the all-news channel Rai News 24. 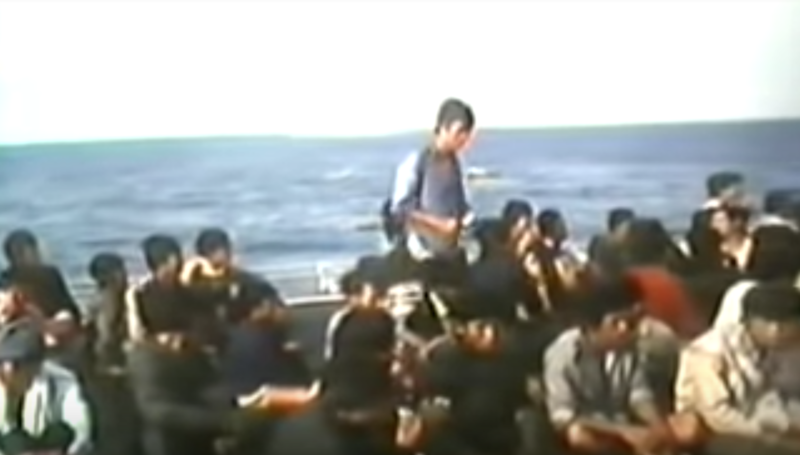 In the broadcast, the drafted sailors interviewed in 1979 at the start of ‘Mission Vietnam’, despite the fact that they had been ordered back to work from their leave, showed that they understood and shared the rationale for the humanitarian initiative. One of the Navy officers stated that the Italian fleet, although equipped for providing first aid care, was composed of Italian Navy vessels that would be able to react with the use of force in case of hostile attacks (a German ship had been targeted by a similar assault in the preceding months). The same 1979 broadcast reported also an interview with Giuseppe Zamberletti, a Christian Democrat politician regarded as the founding father of the Italian Civil Protection system in the Seventies. At the time, then Prime Minister Giulio Andreotti charged him to lead the rescue operation aimed at saving the lives of Vietnamese Boat people. When asked about the fate of the displaced people once they had been carried back to Italy, he replied with what he clearly considered as an obvious answer. He said that the government had already mapped out the opportunities provided by local host communities in the 20 Italian regions, so as to reduce the stay of the displaced persons in relief camps to the minimum indispensable time, and to proceed as soon as possible with their social and economic integration. In fact, in some cases the offers of hospitality made by local administrations could not be met because they exceeded the number of rescued Boat people. A January 1980 press release by Italian Caritas noted that “in Padua it is possible to host only one more family and the other offers generously made – about 20 – shall not be utilized” (see >>). Forty years are not a short time frame. However, even the most pessimistic among us would have never thought in 1979 that Italy would have today closed its ports to the NGO ships that carry out, in the Mediterranean Sea, humanitarian missions similar to the one then implemented by the Italian Navy overseas. If the Italian units sent to the South China Sea in 1979 would find themselves in contemporary Italy following a spatial-temporal perturbation, they would risk indictment for aiding trafficking in human beings. Shall we be coherent and courageous enough to honor this year, as we did in 2009 in Jesolo (Veneto) on the occasion of the 30 years celebrations, the 40th anniversary of ‘Mission Vietnam’?